“We’re like an 80-year-old startup.” That’s an apt description of the Fort Tryon Jewish Center (FTJC), an independent traditional egalitarian community-based in Washington Heights and Inwood, Manhattan. Founded in 1938 by refugees from Nazi Germany, an aging and dwindling congregation nearly shut its doors in the early 2000’s, then lost the use of its building in a real-estate deal gone wrong. But FTJC became egalitarian in 2007, fueling a boom in new participation, and has experienced a remarkable revitalization while using rented spaces, members’ homes, and public parks. Our DIY, volunteer-driven ethos makes everything a work in progress as we reimagine what a traditional Jewish community looks like and acts like in the 21st century. “So this is where all the millennials are…” I hear a version of this comment pretty often from older visitors to FTJC, such as parents or grandparents of our members. While we are a multi-generational community, most of our members are under 45, and new membership comes primarily among singles and couples in their 20s and 30s and young families with children aged 5 and under. A critical reason why is what Schwarz understands in his proposition of “Kehillah/Community,” a move from a consumer approach to an empowered approach. At FTJC we don’t make any special effort to “attract” younger members. No marketing, no free trips, and no “junior board” sandbox to play in. Young people are simply embedded in all the leadership structures of the organization – the board, ritual, programming, youth & family, social justice, etc. They partner with older and more experienced members but they are simply part of the leadership, period. They lead services and read from the Torah and generate programming that they want. They model participation for each other, invite one another into leadership and draw in new members through relationships and word of mouth. But that doesn’t mean it’s always easy, and it’s certainly not automatic. Older leaders often need to consciously make room for the leadership style of younger leaders, which sometimes surprises with slowness (extensive consultation and collaboration) and sometimes with quickness (immediate creation of multiple Google docs and Facebook events!). Younger leaders by definition have less life experience and less professional experience, but also different and equally important experiences so we have to consciously balance how older and younger leaders learn from each other. A key to all of it is what Schwarz calls a decentralized culture, in which members and committees are empowered to initiate and implement. For us this DIY culture has been a virtue born of necessity – we continue to run on a shoestring budget with minimal staffing. Everyone jumps in or it doesn’t happen. But as our “startup” grows in size and organizational maturity, we need to continue being intentional about sustaining that ethos. As rabbi of the shul, I need to be a community organizer (or what one member called “a curator of people”)—recruiting, connecting, and catalyzing—and just creating opportunities for others to step into owning and leading what we do. As for “Kedusha/Sacred Purpose,” one of Schwarz’s other propositions, it actually flows from Kehillah and that same DIY, participatory culture. The Talmud talks about how the Shechinah (Divine Presence) comes among us when three people sit on a beit din (rabbinic panel), when two study Torah together, and even when one studies alone. If so, what’s special about a minyan of ten? With ten, the Shechinah is already there waiting for us before we even gather (BT Berachot 6a). When we create a participatory, empowered culture in which many people are always involved in everything, then we don’t have to work as hard to bring the Divine Presence among us – She is already there waiting! That means the swell of dozens singing in prayer and feeling open to sermons about sacred purpose, mitzvot, and God’s role in our lives. It means good vibes and productivity in committee work. It means a roomful of happy chatter at Friday night dinners for 100. When we come to believe that God will be there with all of our friends at the service, the meeting, or the dinner – we run towards her, and towards one another, again and again. Rabbi Guy Austrian serves as rabbi and spiritual leader of the Fort Tryon Jewish Center, an independent traditional egalitarian community in Washington Heights & Inwood, NYC. 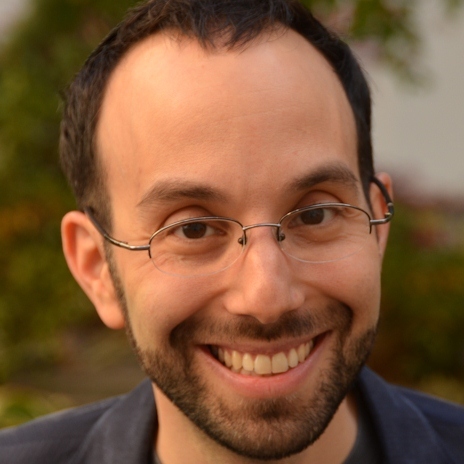 Ordained at JTS, trained at Congregation Beit Simchat Torah (CBST), B’nai Jeshurun (BJ), and the Jewish Council on Urban Affairs (JCUA), Guy brings a community organizer’s toolkit to the building of spiritual community in a historic Jewish urban neighborhood.